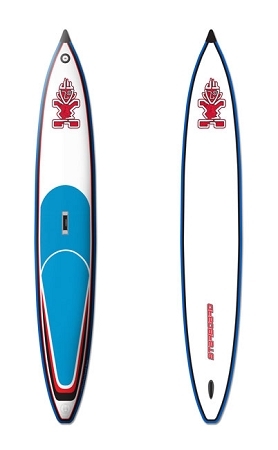 > Starboard Astro Racer 12'6"x26"
"A true racing machine that fits in a backpack." The Astro Racer is a highly competitive race board with amazing glide and very particular advantages: shock absorption going upwind and adjustable rocker going downwind. This board can fly with you to any race around the globe with no additional cost. Winning already in its first World Cup event. 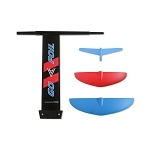 RACE CONE For better rigidity, shape precision and strength, the fighter plane inspired Race Cone is built into the critical nose section of all our Astro Racers and Touring boards. All the race results and media test reports further underlines the advantages.